Gives hair movement for a disheveled look. No rough touch. Up to 24hr Hold. Apply to towel-dried hair from lengths to ends. Scrunch the lengths, tousle the ends and leave to dry naturally. For more volume, dry with a diffuser. 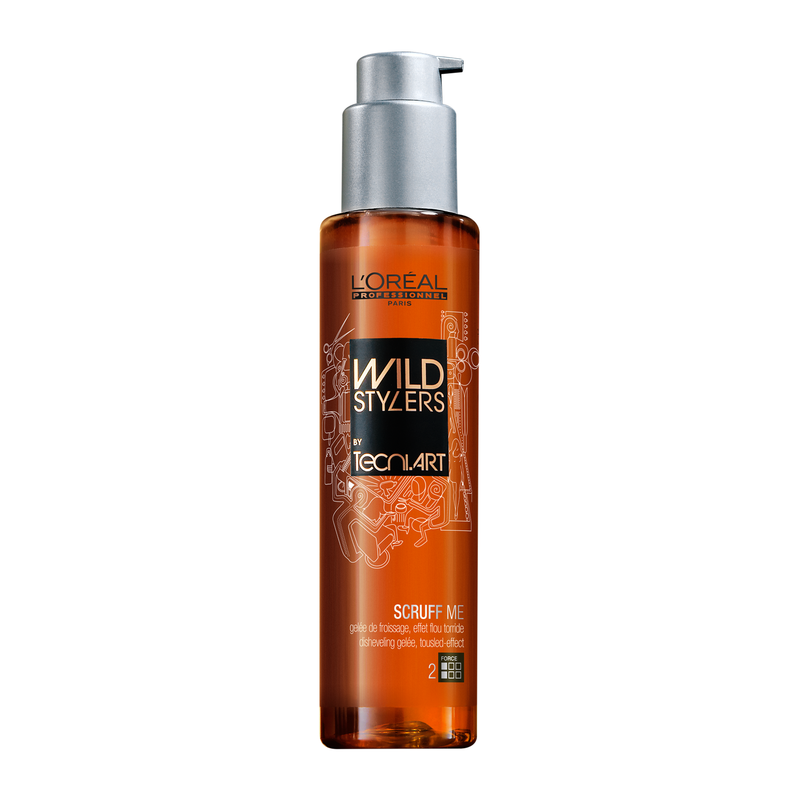 Buy L’Oréal Professionnel Tecni.ART Wild Stylers Scruff Me 150ml on-line today at Riah Hair.